Some days back, I came across an issue. No mails from Magento are sent successfully and Magento is not throwing any error message in the front end. First I thought its something related to the server and checked if the sendmail is installed properly. Then tested with a simple php sendmail function which successfully delivered the email. So I went into the log and found the following error was logged in the exception.log file. great but where is it in the admin ? 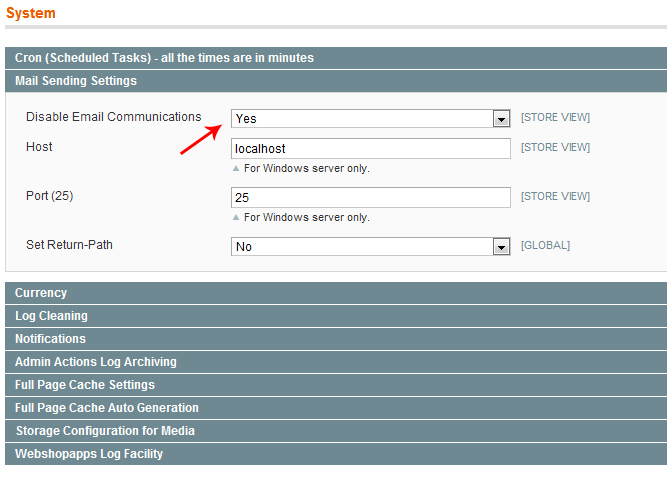 Can you please check whether it is disabled for the particular store view?